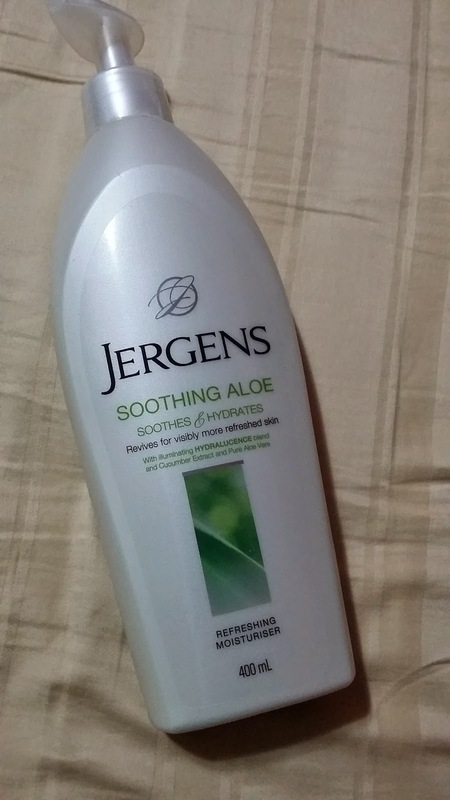 Have you heard of the brand Jergens? It is the No. 1 Body Lotion Brand in USA and I am pretty sure you would have spotted their products in the local personal care stores like Watsons. 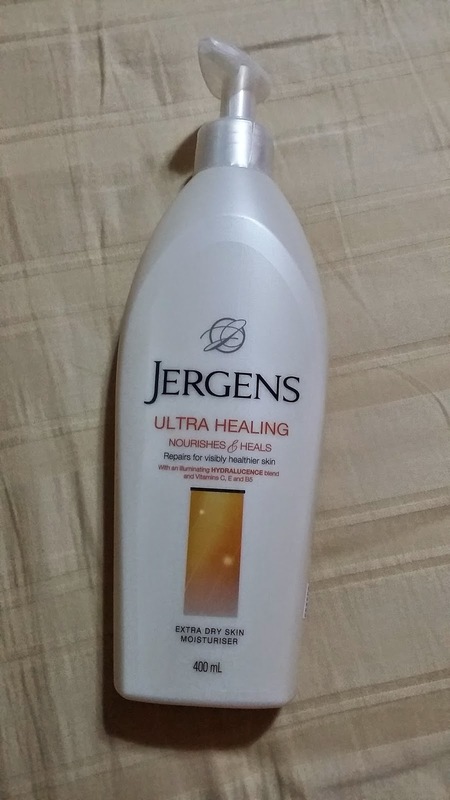 New Jergens have goes beyond just moisturizing, giving your skin a beautiful, envious glow (luminous skin). The range has been reformulated with a breakthrough Hydralucence blend that provides hydrated, luminous skin that lasts all day. To cater to different needs, the new Jergens range comes in three varirants - the Daily Moisture for visibly smoother skin, the Soothing Aloe for visibly more refreshed skin and the Ultra Healing for visibly healthier skin. 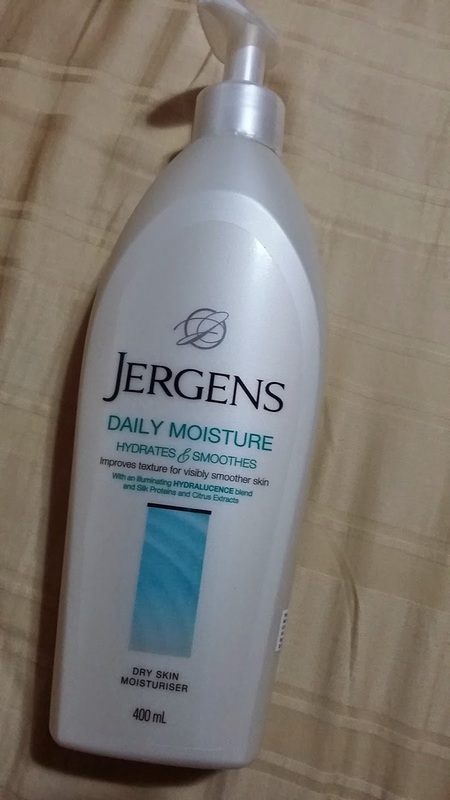 Let me introduce the Jergens Daily Moisture first. It contains silk proteins and citrus extracts that improves skin texture for visibly smoother skin. I applied it on my knee caps as my skin at the knee cap is dry and a little rough especially after shave. The texture of the body moisturizer may look thick but it doesn't feel oily. 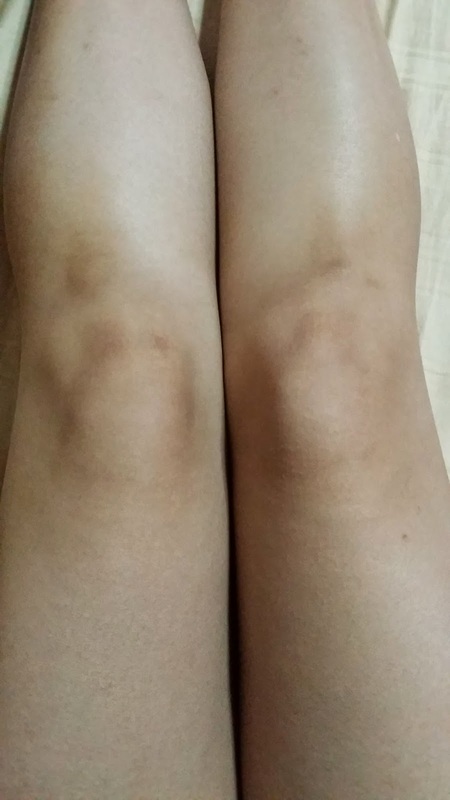 After application, my knee caps do feel smoother and brighter. The second variant is the Soothing Aloe. It contains cucumber extract and pure Aloe Vera which revives skin for visibly more refreshed skin. It also smells good and cooling. 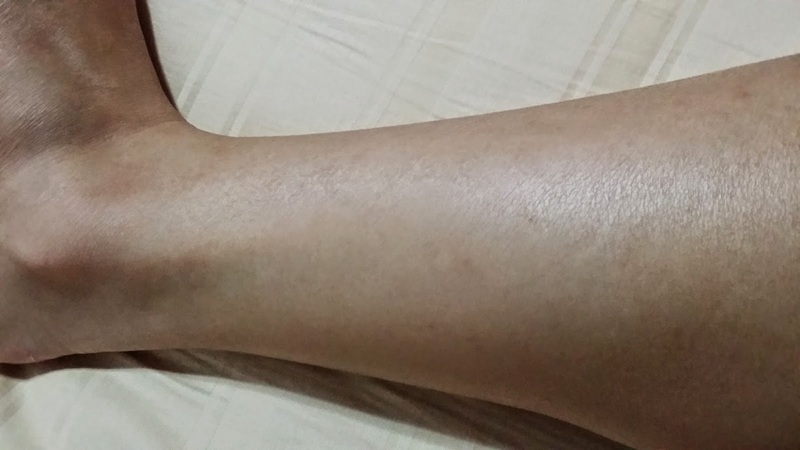 I tried the product on my inner thigh and it gives a cooling sensation. This is an especially useful product if you are suffering from sun burns. The third variant is the Ultra Healing. It contains Vitamin C, E and 5 to repair skin for visibly healthier skin. I applied it on my calves which definitely need healing as it has became so dry that I encountered minor peeling. Even my hair stands when I see it. After application, the products gets absorbed well and leave no stickiness. My calves has instantly regained its hydration. The improvement speaks for itself. 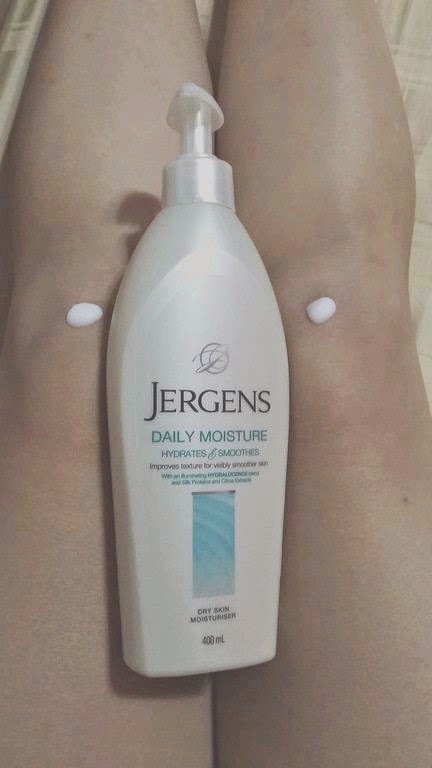 The new Jergens body moisturizer are in 400ml packs and are sold at $8.90 each at leading supermarkets, western pharmacies and personal care stores. For more information, you can visit their website.